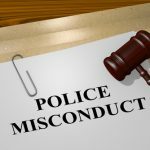 We have reported on several cases where taxpayers have been left to foot the bill for the misconduct of police officers, from the costs of legal representation to damages awards for police brutality and other forms of criminal conduct. Taxpayers across Australia are paying millions of dollars every year to teams of solicitors and barristers to fight the legal battles of rogue police officers, with offenders rarely being disciplined let alone charged with criminal offences when crimes are identified. 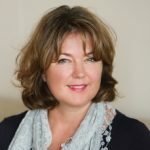 Large sums of money have been spent, for example, trying to keep incriminating footage of police brutality at Ballarat Police Station in Victoria hidden from public view – with police using taxpayer funds to take the case all the way to the High Court of Australia, without success. Earlier this year in New South Wales, a District Court judge ordered the state government to pay a 21-year old man $124,000 in compensation, after finding that officers had engaged in assault and battery, false imprisonment and conducted a malicious prosecution against him. Again, that money will be paid by taxpayers rather than the offenders. And the Queensland government is currently paying a legal team to prevent a self-represented domestic violence victim from obtaining compensation for privacy breaches. This is despite the fact that an internal investigation found that a police officer illegally accessed the police database and provided the woman’s new address to her abusive former partner, who is reported to be his ‘mate’, endangering the woman’s safety. 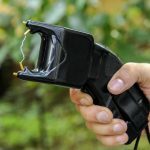 And now, it has been reported that Fremantle couple Dr Robert Cunningham and Catherine Atoms have been awarded $1.1 million dollars in damages after being illegally Tasered by Western Australian Police. The pair were first awarded damages by the District Court two years ago, after the court found they were falsely imprisoned and assaulted. The state government took the case to the state’s Supreme Court, which against ordered the government to pay the sum as well as the couple’s legal costs. The couple were walking past the Esplanade Hotel at night in November 2008, when they stopped to help a man who was lying in nearby bushes. Police arrived shortly afterwards and tasered the couple, before handcuffing them and charging them with obstructing a public officer. The charges were later dismissed and the couple made a formal complaint. An internal police investigation, as usual, cleared the officers of any wrongdoing. The pair then took matters into their own hands, launching civil proceedings against the police. The Supreme Court Justices confirmed the decision of the District Court, find that the officers — Glenn Caldwell, Peter Clark and Simon Traynor — had fabricated evidence, abused their powers and falsely imprisoned, assaulted and tasered the couple. The WA state solicitor is now determining whether the three officers should be criminally prosecuted. But to many, it’s too little, too late – the couple have already put their lives on hold, incurred huge expenses and been put through through enormous stress in order to seek some measure of justice, when the system failed them. The couple’s treatment at the hands of police left them with physical injuries as well as post-traumatic stress disorder. They have lost earnings and spent hundreds of thousands of dollars on legal fees and medical bills. There have long been calls for a better way to handle police complaints and ensure that those who are mistreated have their complaints heard, and properly dealt with. There are also calls for more accountability to ensure that appropriate disciplinary measures are taken against officers, with those who break the law brought to justice. Many feel the current system is far from adequate – as oversight bodies are hopelessly under-resourced, often sending cases to police for internal reviews. And these bodies have no power to discipline let alone bring criminal charges. 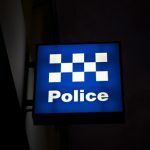 In New South Wales, the Law Enforcement Conduct Commission’s (LECC) recently released its findings in relation to a small number of high-profile cases of police misconduct. 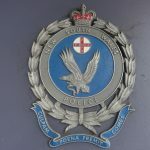 The Commission recommended that an officer who repeatedly struck a naked, disoriented teenager in Byron Bay be charged with assault occasioning actual bodily harm and dismissed from the police force. But as stated, the LECC does not have the power to discipline officers or bring criminal charges – which means police will determine what action, if any, will be taken. 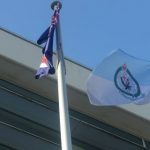 The LECC also found that three police officers had engaged in serious misconduct in the course of detaining a woman at a Sydney police station in April 2016. 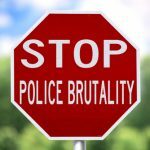 The Commissioner found that an officer indeed punched an intoxicated woman in custody without sufficient reason to do so in September 2017, before sharing the footage of the incident with other officers via Snapchat. A spokesperson for the NSW Police Force says police will consider the LECC recommendations in due course.